How can you scoop up the goodies? Submit a comment to this blog and let us know what your favorite candy is. Submit your comment by November 7, 2017, to be entered into our random drawing. Good luck! 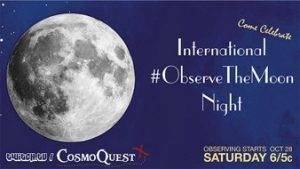 Gaze upward; Saturday, October 28, is International Observe the Moon Night. Visit observethemoonnight.org to find events and activities. Have you read the book Wonder? This bestseller has been made into a movie, due in theaters November 17. Watch the trailer, download the free resource guide, and enter for a chance to win prizes. Get started here. 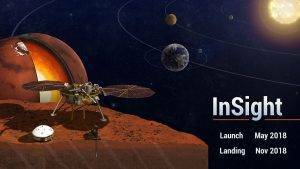 Here’s an out-of-this-world opportunity: You and your students can send your names to the Red Planet on board NASA’s InSight Mars lander. InSight launches in May 2018 and lands on Mars in November 2018. Visit mars.nasa.gov/syn/insight; add your name to the list before November 1. My favorite candy involves chocolate and peanut butter. What’s yours? PS: Hop on over to our Instagram page to see more treats from The Mailbox. Click here. Peanut Butter M & M’s, hands down favorites. Especially good if you put them in the fridge first. I really like seasonal candies. My favorite candy in the fall is candy corn. Anytime of year, though, Reeces are great! 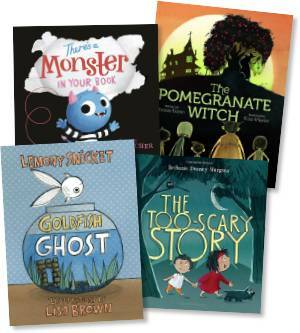 All my kids would love these seasonal books! My favorite candy is 3 Musketeers. I always have them for our book clubs. I love peanut butter anything!! I most enjoy Mon Cheri Fine Hazelnut Chocolates. Peanut M & M’s. I can eat a whole bag and not even realize it. Especially if I am reading a good book at the same time! I’ve always loved Reece’s Peanut Butter Cups but have recently discovered Butterfinger Peanut Butter Cups – yum!! I also adore Dark Chocolate. Peanut butter and chocolate can’t be beat! White Chocolate Reese Cups. I especially like the pumpkin shape ones!!! Black Licorice anything. The stronger the flavor, the better. My favorite candy Almond Joy. I always convinced my own children after trick or treating that they didn’t like anything with coconut – lol. I think I am more excited by the candy than my children! I never buy it and love to sort through it all looking for the Butterfingers, Twix and Hershey’s with almonds! Chocolate & Peanut Butter anything is spectacular. Cadbury cream eggs or Cadbury anything actually. My class and I love Halloween. I have to say, like with all food, my candy favorite depends upon my mood and/or the season. To be summer is all about light, citrus flavors; some days, I need something chewy and crunchy to work out the stress; on a mellow days, a melty, smooth candy bar. Spring. . .jelly beans!!!! In all honesty, I love it all! Anything with chocolate and caramel is a tasty treat. Peanut Butter cups! Or the larger Tootsie Rolls at Halloween because they are so fresh! Peanut M&Ms! So good with popcorn at the movies! Anything chocolate but, especially Butterfinger!!! My favorite is Kit Kat! I just love the crunchy chocolate. I love books!!!! And I love Heath Bars and Reese’s peanut butter cups! I love 100 grand and kit Kats! It depends on my venue. I love Reese’s pieces with popcorn at the movies, but go for whoopers at my desk. Almond Joy because I always feel like a nut! My favorite candy is sour patch kids! Skittles- especially the red, white and blue bag.